Shadow the Hedgehog***. . Wallpaper and background images in the 쉐도우 더 헷지혹 club tagged: shadow hedgehog shadow the hedgehog picture yadda. This 쉐도우 더 헷지혹 photo contains 애니메이션, 만화, and 만화책. he is the king and i'm the queen. 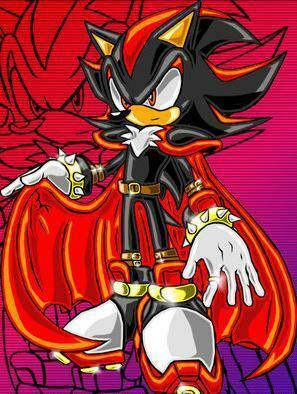 Hey,is he pat vampire because he has the cape and.............. never mind.P.s. Im the queen!!!! I'M THE QUEEN!!!!!!!!!!!!!!!!! I AM!!!!!!!!!!!! !